Cold Pressed Moroccan or Argan Oil is famed for its healing, conditioning, calming and soothing effect. The oil hydrates skin, hair, and nails. It is suitable for all skin types – oily, dry and sensitive, and leaves the skin supple and soft. Argan oil is known as the LIQUID GOLD. Argan oil or Moroccan oil has traditionally been used both topically and orally to improve the health of skin, hair, and nails. It contains a number of different beneficial properties and vitamins that form a powerful combination to boost skin health. According to “The Journal of Pharmacy & Pharmacology” based in France, using the “Traditional” process in the production of Argan Oil it takes a single person 58 hours to produce 2 – 2.5 liters of Argan Oil and this uses 100kg of fruit. Argan Oil is very difficult to make, it takes hours of manual labor that does not come free, so unfortunately there is no such thing as cheap Argan Oil. 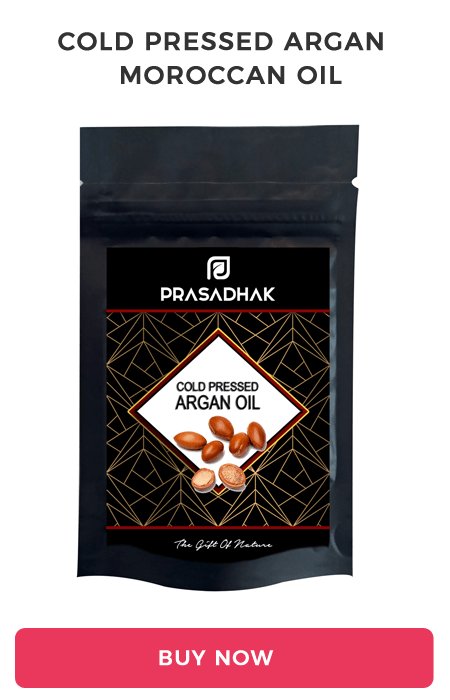 Buy Argan or Moroccan oil online at best price from Prasadhak. 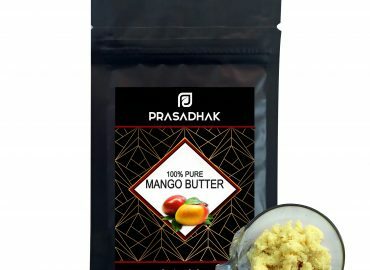 Prasadhak – The Gift of Nature!